Q: Can a nursing homes reduce care for Medicaid (instead of Medicare) residents? A: No. Nursing homes cannot discriminate based upon payment source. In other words, a nursing home is required to provide the same level of care, regardless of who is paying the bill. Generally, Medicare pays nursing homes considerably more than Medicaid. We have dealt with situations where nursing homes have had “Medicaid wings” in their facilities. On the Medicaid wing, staffing levels were reduced compared to the rest of the facility. As a result, care was also reduced. The practice of discriminating against residents based upon payment source is unlawful. Q: What is the difference between an assisted living facility and a nursing home? A: Today, there are more options than ever concerning various types of facility that may be available to you and your loved one. In this answer, we are not attempting a technical legal definition of the various types of facilities, but rather a broad explanation of the various options. The facilities we have traditionally come to know as nursing homes are available. These facilities typically provide a broad array of services including skilled nursing care, assistance with activities of daily living, and various forms of rehabilitation such as physical therapy, occupational therapy, and speech therapy. These facilities are governed by both state and federal rules and regulations and are regulated by both the state and federal governments. In addition, there are facilities broadly referenced as assisted living facilities. These facilities include community based residential facilities (CBRF) and adult family homes (AFH). These facilities generally focus more on supervision and assistance with activities of daily living and less on what most of us consider skilled nursing care. These facilities tend to provide a more home-like environment. Assisted living facilities are generally governed by state law and regulated by the state government. While legally we can determine whether a facility is organized as a nursing home or a different type of facility, it can be confusing to determine the specific services that are provided for your loved one. Importantly, none of these facilities are allowed to accept residents for whom they believe they cannot provide adequate care. Still, we see folks admitted to facilities that cannot meet their needs. We do not advocate a particular type of facility over another. We simply want to sensitize you to some of the broad differences in hopes that you can make a more informed choice. Q: What is nursing home arbitration and why do I want to avoid it? A: Nursing home corporations have started including language in their admissions contracts that dictate that if they are found guilty of nursing home neglect your loved one, you can’t sue them in court. This is known as an arbitration clause. In arbitration, a judge and jury are replaced with an arbitrator. Often, the nursing home corporation chooses the arbitrator, pays the arbitrator, and dictates the rules that will be used during the arbitration. 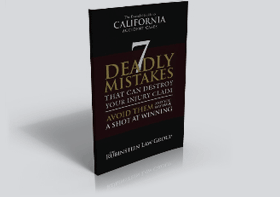 We counsel people to avoid signing admissions contracts that contain arbitration clauses. Q: Can an insurance company deny my claim for any reason they choose? A: No. Any denial of a claim must be made on a “reasonable basis.” This means that an insurance company must properly investigate the claim and fairly consider the plain facts revealed by that investigation. That said, insurance companies do not have to pay every claim. If a claim is debatable or questionable, the company can deny the claim. Please contact the Rubinstein Law Group today to schedule your consultation. Mr. Rubinstein serves clients in San Marcos, Carlsbad, Oceanside, Vista, and Escondido, California. Call (760) 804-2790 if you need a San Marcos nursing home abuse or neglect attorney, or have a case in Southern California. We can come to you.